I always get confused as what to do so I don’t do anything…which doens’t work. So this post is very helpful! Thanks. I’ve always wondered if removing the skin from almonds makes them ok unsoaked can you do that for other nuts like hazelnuts? I’m not fond of the crispy nuts. I have the same question as Molly…soaking flour for my bread recipe. I worked for months with trial and error to get a nice bread recipe. Now that I have one I love I want to begin soaking the flour but am not sure how to change up my recipe. I do grind my own flour right before making it but want to add this crucial step too. Any suggestions? As I understand it, if you are grinding your own flour you could just sprout the wheat first. 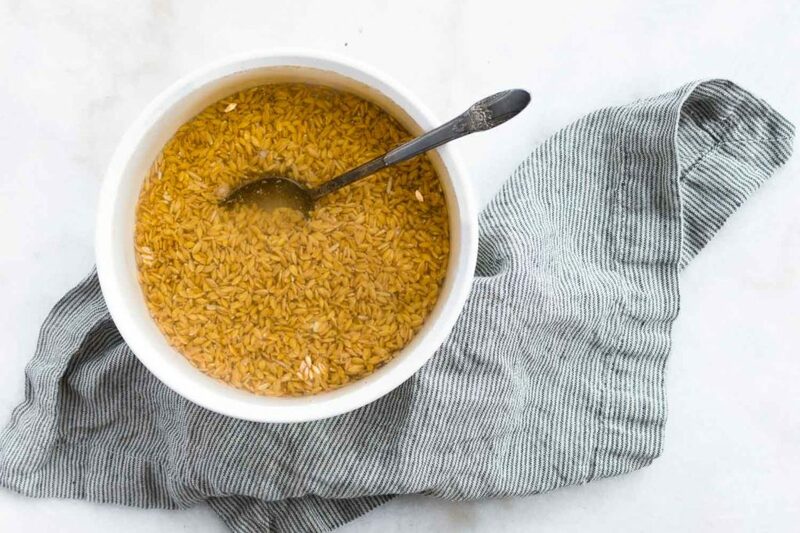 I soak my wheatberries in water with buttermilk, whey or yogurt for 24 hours and then sprout (rinse and drain several times) for a day and put in the dehydrator overnight. I never think i have the time to soak beans, either, but then I do it and they taste so much better. Totally worth it! Thank you for this comment, I also think beans MUST be soaked. This is simply how we always made beans at home and it has proven to be the right thing for me too. I’m a vegetarian and eat tons of beans and lentils. My question in about infants and soaked grains. After I read about their health benefits, I fed my infant oatmeal made from soaked oats. He had eaten oatmeal before without any issues, but when he ate the soaked oats, he threw them up. Do you know why this is? Should infants not be fed any soaked grains? I am puzzled about the blanched almond flour, however. In my own (albeit highly unscientific, difficult to verify) personal experience, I found that I seemed to digest the bread I made after soaking blanched almond flour FAR better than the batch I made with unsoaked. I wonder why that would be, if it is true that all of the anti-nutrients are contained in the skin? I have the same question. Do you need to change a bread recipe when using soaked flour? This was a great post Jenny. I know when I use conventional bread recipes, I just use the liquid amount in the bread recipe to soak the flour – that way, I am not having an issue with too much liquid. I also compensate for the 2 TBS of either kefir, buttermilk or whey. So if a recipe calls for 5 cups of water, I will use 2 TBS of kefir, buttermilk, whey or yogurt, and make up the difference with warm water to get to 5 cups. Hope that makes sense. This method has worked for me with every bread recipe I have tried. Thanks for the great article. I’ve been soaking beans (black and pinto), oatmeal and flour for bread for almost a year now. I’ll never go back! I’ve been rinsing my beans before adding clean water to cook them in, my question is, should I save the rinse water and use it in my vegetable garden? Would there be any added benefits? Seems like an awful lot of work for limited nutrition. Plus, grains raise blood sugar. I’m better off without them. I’d like to add some information. I was having a terrible time with soaking flours, etc., because the resulting products had a definite sourness that my children did not like. My solution: sprouted, dehydrated grains, which I grind into flour! The grains are also available as flour, if you don’t have a grinder. I don’t have a dehydrator, so at this time, sprouting my own grains and then dehydrating them is not an option (my oven is too hot). http://www.organicwheatproducts.com/ This company, owned and operated by Rhonda Schnacky has been great. She has the following organic sprouted and dehydrated grains and flours: bread wheat, white wheat, pastry wheat, spelt, rye, and durum wheat. I am not affiliated with these companies, so this is NOT an advertisement. The availability of these products has changed my life! I sprout all my beans and legumes before cooking them, since I don’t need them to be dehydrated before cooking with them. So, again, there is no problem with sourness. Does anyone know if you need to rinse soaked almonds before you dehydrate them? The directions are very vague on each site I’ve found so I just wanted to be sure. This was a great article! I still have questions. If you are soaking your oatmeal, why wouldn’t you want to discard the water? Does it not have all the phytates you DON’T want, so before cooking it you should remove the liquid and replace it fresh? I am also interested in finding out if oatmeal should be rinsed after soaking, it seems like it would be rather difficult to do. It isn’t that the phytates are in the water. They are transformed. No need to rinse. Also, do you need to soak canned beans? They probably cannot be sprouted since they are not raw, and are heated some in the canning process. But I’ve always wondered if it is appropriate to soak them straight from the can, or if they are ok to cook right away. Cant soak cooked beans. Canned are cooked and aren’t soaked first so they have all their phytic acid still. I put my beans to soak yesterday after reading your article using 140 degree water and rising a couple times. By the time I was ready to use them this evening they smelled horrible! Almost like vomit. Is this normal? Thanks. I love my soaked oatmeal porridge. I buy good quality, full fat unhomogenized milk yogurt, strain it, and add a tablespoon or so of the whey to whatever I’m soaking in place of the regular yogurt or buttermilk. I store the strained yogurt and whey in glass jars in the fridge. Thanks for bringing up the issue about canned beans. I do not recommend anyone use them. Beans frequently smell funky after they’ve been soaked optimally and this is because soaking helps to ferment the beans, and fermentation *always* smells a little funky. I just give the beans a thorough rinsing first before cooking them and haven’t encountered any problems. You do not need to soak canned beans; that said, I would definitely not encourage their use at all. They tend to be denatured by the extreme heat needed to make them shelf-stable. I noticed a couple of comments about sourness after soaking. Is that what the end result is supposed to be? I tried a prolonged soaking of black beans this time and they are definitely slightly sour even after thourougly rinsing before cooking. Also, I noticed you listed yogurt, kefir or buttermilk as the acidic mediums that you normally choose -do you find a difference in results/taste then say ACV or lemon juice? You mentioned the no knead bread. I made it a couple times before I discovered Weston Price and made dietary changes. It tasted heavenly, but I’m not making it anymore because it is made with white flour. (I can easily get artisnal sourdough wholewheat or rye bread at the local bakery, so I go with that, but basically eat very minimal amounts of bread. However, there is nothing like the smell of fresh baked bread. Do you consider an occasional loaf of no knead bread a healthy option even though it’s white flour? 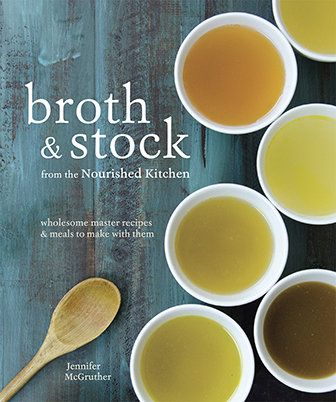 Have you used this recipe successfully with wholewheat or spelt? I tried a wholewheat variation and it was a flop. I think the no-knead bread is an excellent recipe, but wouldn’t encourage anyone to make it with white flour. Just because the original recipe calls for white flour, doesn’t mean you can’t substitute whole grain flour. Soft white wheat flour works well in that recipe. Just be prepared for a denser loaf. I’m working on a comprehensive table, but I tend to take a more relaxed approach to my cooking. I agree. The point of the table isn’t to get it exactly right. The table is to have all the info at collected in one place. 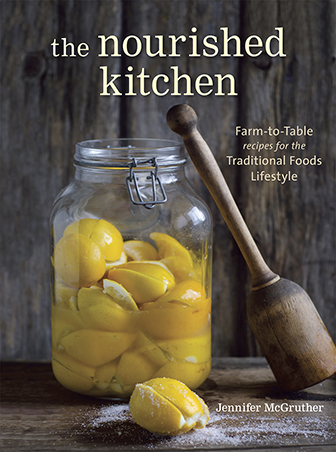 You can find soaking info for everything in Sally Fallon’s NOURISHING TRADITIONS! Thanks for this great useful post. I’ve also found that soaking beans with an acidic solution (lemon juice, raw apple cider vinegar) hardens my beans. I’ve had lentils, split peas, garbanzos, black & pinto beans harden from lemon juice. Corn should be treated with lime – I tend to not use it much and purchase organic masa on the rare occasion we use it. I know rice tends to be lower in phytic acid but can still benefit from soaking. I generally use brown rice and soak it, however my one exception is when I use arborio for risotto. Risotto preparation (and good results) relies heavily on the slow addition of liquid during cooking, so I would worry that soaking would impede that and drastically change the texture. What are your thoughts/experience on this? Am I just naiive to think that I won’t have to give up my beloved risotto to adhere to a traditional diet? Any suggestions for soaking flours for gluten free bread? I use a mixture of oat, brown rice, tapioca and almond flour. I’d love to soak the oat and brown rice prior to the preparation. Neither oat nor rice are good sources of phytase, the enzyme that (when activated) helps to degrade phytic acid, so soaking doesn’t really do much to improve the nutritive value of gluten-free flours. Buckwheat is a decent source of phytase, so you might add that into the mix or start sprouting your oats and rice, too. a sprouting system I saw on the web – guess that would make things healthier! Ok, so how do you rinse soaked grains so that they don’t get washed away? Is that a dumb question? Hi Becky.. What I do is re-use the spaghetti (mason) jars ( ***toss the lid*** ), and used a steel wool scrubber to quickly scrape off the label under running water in the sink. After it dries, I use separate jars I’ve saved to soak my rice, and beans. The easiest/cheapest way I’ve found to rinse out the grains/legumes is I use rubber bands and cheese cloth. I buy unbleached cheesecloth @ Bed Bath & Beyond for about $4 (maybe two large sheets that I cut down into a ton of approx 4″ x 4″ squares -not precise but enough) to somewhat overlap the round rim of the jar. I secure it by adding a rubber band (sometimes I get them while shopping at Whole Foods and they usually put a rubber band to secure a carton of eggs that you buy so the lid doesn’t pop open). I so I have the rubber band wrap around the edges of the cheesecloth that hang low from the rim and secure it twice around the rim (push down past the ridges that the lid was secured on-the lines running along the rim. It’s like when you make a ponytail.. you put it on and then you twist it and pull your hair through it a second time. It drains/airs out wonderfully. I secure the cloth on the jar first (after adding the rice or beans) then I add water to rinse out (what I’m going to soak) then shake.. drain and refill and soak.. drain after appropriate soaking time and rinse every so often as whatever you’re soaking requires. I’ve never had a problem re-using the little squares of cloth after rinsing them thoroughly along with the rubber band.. gently ringing out the cloth and lying it flat on a clean surface to dry and use again. So I get many months of use before I toss each cloth 🙂 I get lazy so I only sometimes cut a few squares off of the long sheets and put the rest away instead of cutting it all up at once. BTW: if using an acid medium.. I think it’s best to add it and the water before putting the cloth on the jar.. I’m not sure.. but I think the acid medium might wear out the cloth material faster than the cloth would through normal use. It’s my understanding that the awakened plant enzymes in soaked grains and nuts are there for the plants, not us, and that they instantly killed in stomach acid. I will have to find the reference, but it came from someone deeply involved with nutrition. It doesn’t matter if they’re killed by stomach acid or not – they’d be killed by cooking anyway since grains should be consumed cooked. What soaking does is activate the enzymes which then degrade antinutrients like food phytate and enzyme inhibitors so that, once soaked you’re not consuming antinutrients. Would adding a high phytase grain like Buckwheat to beans help reduce the beans toxins even more? I’m confused on whether or not to add whey to beans when they soak. In Nourishing Traditions, page 496, it says to only add whey to black beans, implying that others don’t need it. Then in the “Mashed Beans” recipe at the bottom of that page, the instructions include soaking white beans in water and whey. So, what about pintos, kidneys, great northern, etc? Please clarify. I would so appreciate it! Thanks. Can anyone recommend some sort of food warmer or device to soak my beans and maintain a temperature for 140 degrees? I am really happy to learn all of this material but I can’t find a crock pot or a food warmer/server that will maintain a 140 degree setting. Seems unfortunate that I am having trouble. I’d like to adhere as best as possible for optimal results. I change the water when possible (when I’m home) but the hottest water I can get from the tap is only 120 degrees. Question: Can folks who are sensitive to dairy use ACV or lemon juice or something similar as the acid medium instead of buttermilk/whey/kefir? I just found some dehydrated sprouted buckwheat at a local raw vegan store. Can I consume them as is? If I grind them into a flour and bake with them, wouldn’t that kill any of the good enzymes in them? About sprouting beans…..is soaking them the same thing as sprouting them? About sprouted nuts – assuming one buys them raw and unheated – is it still bad to cook them or heat them as that would kill the good enzymes, or render the fats into transfats? I don’t want to get a dehydrator. How do I control temperatures to 67- 76 degrees when the weather is naturally cold? My oven only goes down to 100 degrees. Would it be ok to soak in my oven at 100 degrees? Can use kefir water as the acid? We love real chocolate,preferably 70% cacao. I also know that cacao is high in phytates. Is it better to eat it between meals,or can it be eaten after dinner as desert without affecting the nutrients you just had for dinner. Do you know anything about black “forbidden” rice, and if it needs to be treated any differently that brown rice? All whole grains need to be soaked. Hi Jenny, In your cookbook you list a soaking method for brown rice. Would I use the same method you state in that chart, for white rice? I find sometimes the white rice get mushy when I soak it, so I wonder if I am doing it incorrectly. I have been using organic California white jasmine. Thank you so much! White rice doesn’t need to be soaked. Only whole grains benefit from soaking, as the bran and germ (sources of food phytate) have already been removed from polished rice. Thank you so much for you reply. I appreciate it, and now I can save some time not soaking my whites! Does corn fit into this category too? Should be soaking them? How do you properly drain & rinse small grains? I’ve tried soaking teff & amaranth, & even larger grains like quinoa & rice, & I find them very difficult to drain in the morning. I use the double cheesecloth method, & a lot of the water will come out, & I’ll rinse them as best as possible, but they still seem to be full of water. I wanted to know if white Jasmine rice is refined and not recommended and if it needs to be soaked please. Thank you! I can’t find this info anywhere. I loved your book btw! 1) I prefer to sour the grains prior to cooking, soaking them for longer. Would using kefir in the soaking water be a safe choice for up to 48 hours of soaking or would you recommend no kefir, just water and grain? 2) When you soak your beans with some kefir, does the kefir get rinsed out after the initial soak and then use plain water for the remainder of the soaking/rinsing cycles? 3_ You mentioned that some beans prefer alkaline soaking vs acidic. Is there a chart or article on which beans like what somewhere? Do you add kefir to your bean soak water? Thank you so much for this awesome information!!! No, I never add kefir to bean soaking water. It will harden beans, making them tough and difficult to cook all the way through. How percent of the phytic acid is reduced? It depends on your method, how long, and the type of grain. Wouldn’t sprouting Beans (soaking and then rinsing a couple times a day until sprouted) before cooking eliminate the need to use an acidic medium? Doesn’t sprouting the legumes/grains make them more nutritious and do away with the inhibitors/anti-nutrients? Same question for Whole Wheat. In fact my Whole Wheat would not sprout at all after soaking in acidic medium of water kefir. Is it too much for the beans/grains to handle soaking in undilluted water kefir? Is it possible that the acidic medium is killing the grains and/or legumes as opposed to soaking to germinate and sprout them? When you sprout beans, you get the best results by not using an acid. With whole grain, you get the best results by using a soaking medium that is very slightly acidic. Yes, it’s way way too much to soak beans and grains in undiluted water kefir. When we talk about an acidic medium it’s plenty of water and a touch of something like vinegar or lemon juice. I have been purchasing my sprouted flours from Azure Standard, a food co-op that delivers monthly. https://www.azurestandard.com/shop/product/pastry-flour-sprouted-organic/14312 I love their products and have had great success with them. Thanks for the article. I was wondering though if I could soak, sprout and sour my grains prior to cooking? And if so, how do I go about it? Also I’ve read about rejuvenac and how some people drink the soaked water. Your thoughts? Sprouting always involves soaking in water first, so sprouted grains are soaked grains. You can sour sprouted grains and you can make sprouted grain bread with a sourdough starter without any changes to any recipe that calls for whole grain flour. Fantastic informative post. I started soaking grains and pulses approx. 10 years ago after spending the weekend at a Paul Pitchford conference. I believe my technique with beans and lentils is fine but your well-referenced post and details (warm/hot water) is such a welcome add for me. Thank you for sharing your wisdom and expertise! By chance is there a place on your website where you discuss soaking/sprouting nuts? There’s very little research on soaking nuts, and almost no information (outside of the Weston A Price Foundation) that would support soaking nuts as a traditional practice. Soaking nuts does release some minerals and some myo-inositol, but a study on soaking or activating almonds found that there’s almost no digestive improvements in regular vs. soaked/activated nuts. So, I’d recommend soaking them if you feel better when you eat them, and not worrying about it if you see no difference.